"Drug Flow" at the Pitchfork Festival "http://pitchfork.com/tv/#/pitchfork-music-festival/1742-2011/2825-curreny-drug-flow/">here. 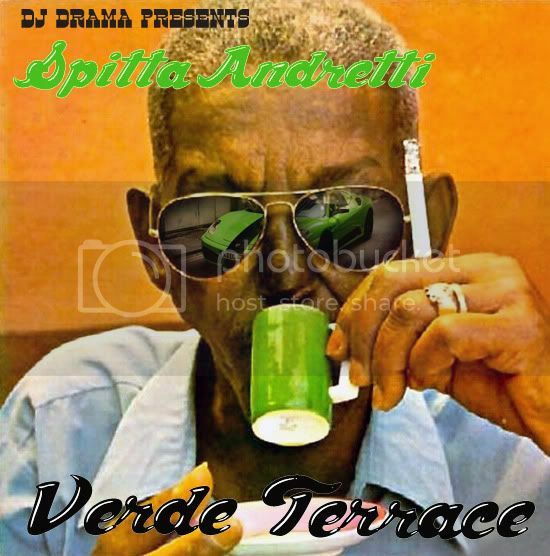 As Spitta continues to push Weekend At Burnie's, he unveils the visuals for the laidback single, "Televised". With Fiend on the track, the music video captures the two lighting up and recording the track in the studio. Weekend At Burnie's is available now! 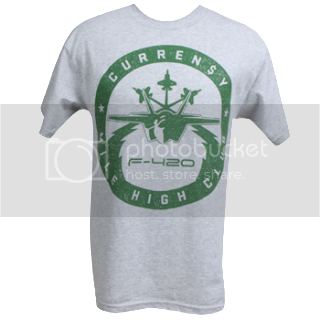 Spitta's new F-420 Mile High Club T-Shirt just went live on the Official Merch Store! This one is sure to turn some heads with the "F-420" fighter jet flying high inside the "Mile High Club" emblem. Head over to the merch store now to cop yourself one!